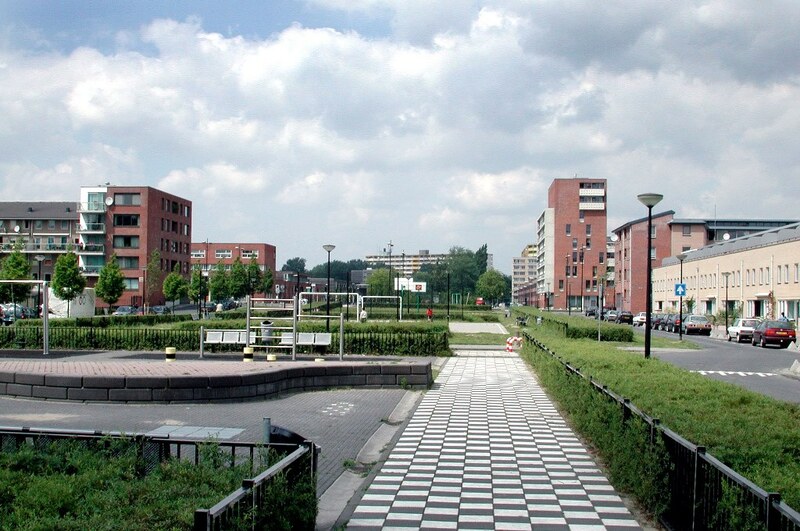 The modernization of the Bijlmermeer, a large suburb in the southeast of Amsterdam built in the 1960s, began almost immediately after delivery of the first block of flats. For many years, the buildings were modernized on an ad-hoc basis. 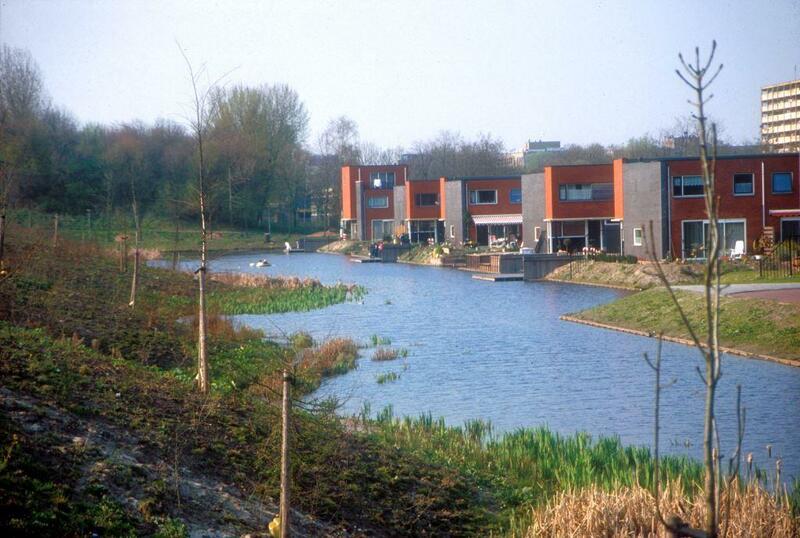 The urban regeneration process started in 1993 in the Ganzenhoef quarter and our firm was involved in this first step. Donald Lambert was chosen in a closed competition. 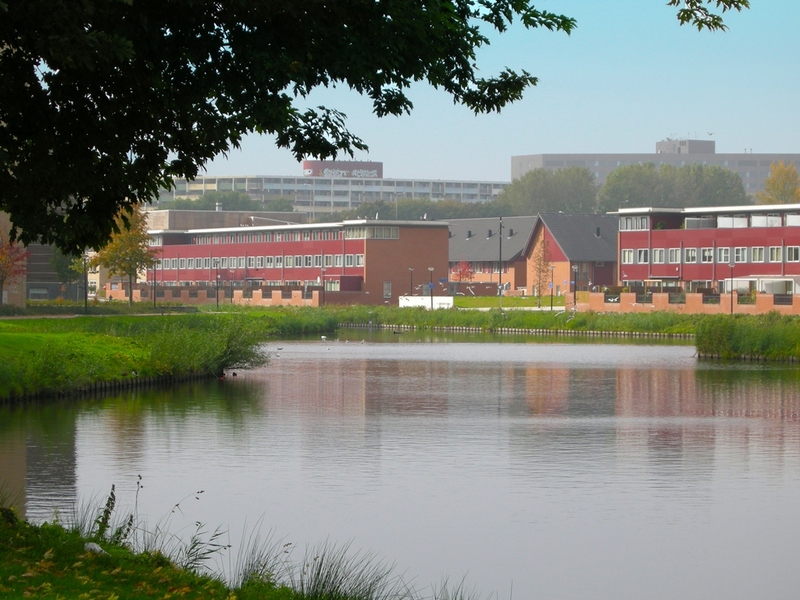 Ganzenhoef stood as the model for the modernization programme. 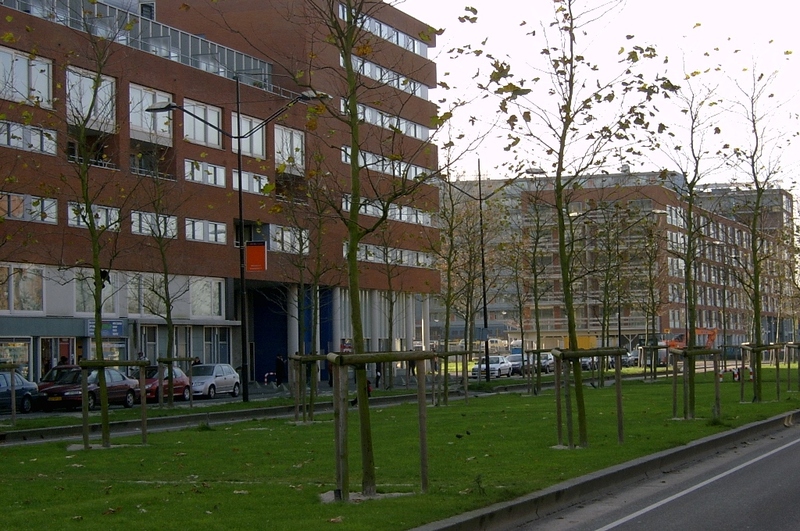 The first steps were taken by demolishing garages on the avenue and the first blocks of flats (Geinwijk and Gerenstein). 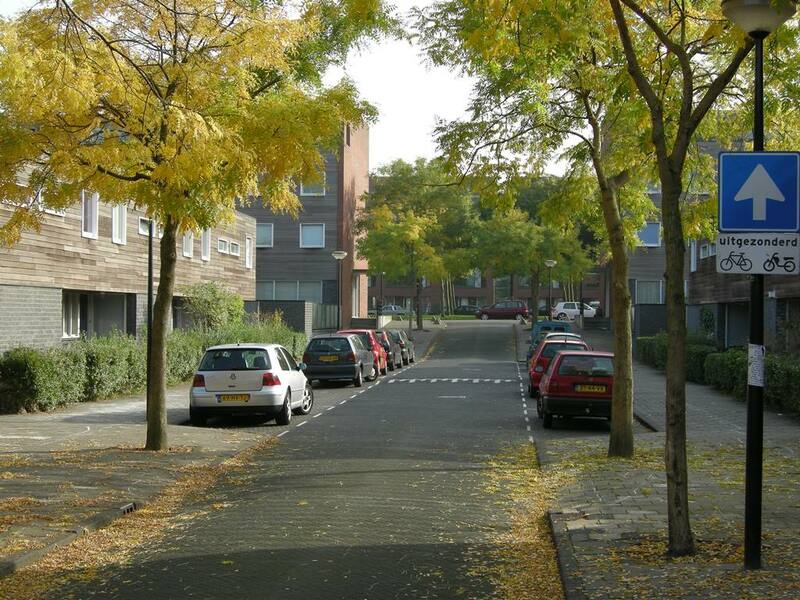 The lowering of Bijlmerdreef was a major operation to create a new street that determined the look and feel of the modernization programme. 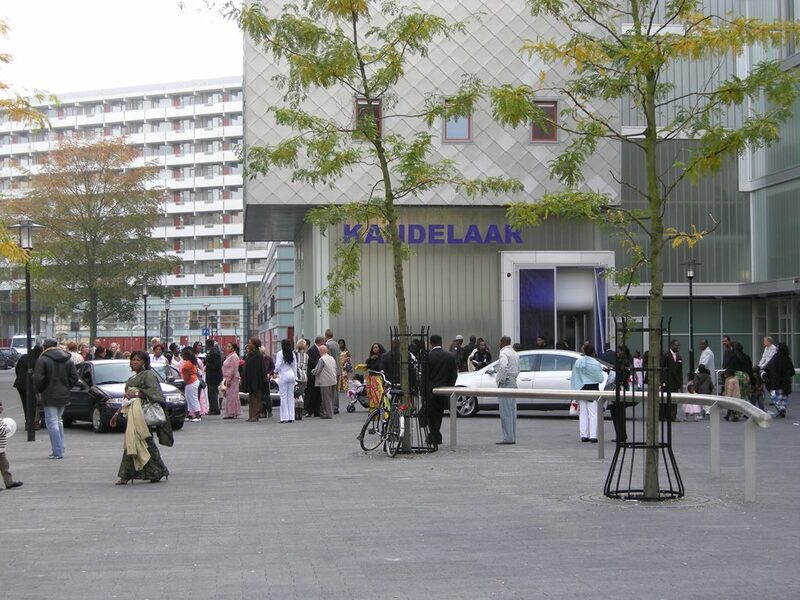 Long lines were the basic principle chosen for the new district. 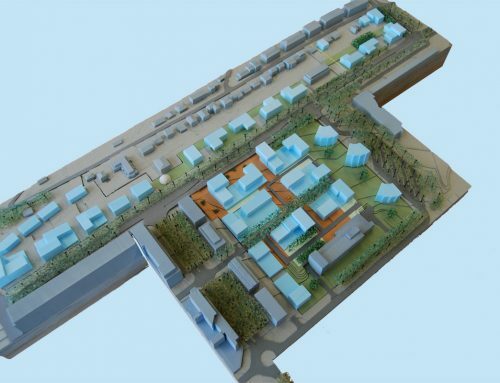 The large scale of the monotone Bijlmer could not be allowed to degenerate into a disorderly small-scale patchwork, but on the other hand the new programme called for greater diversity and landmarking. 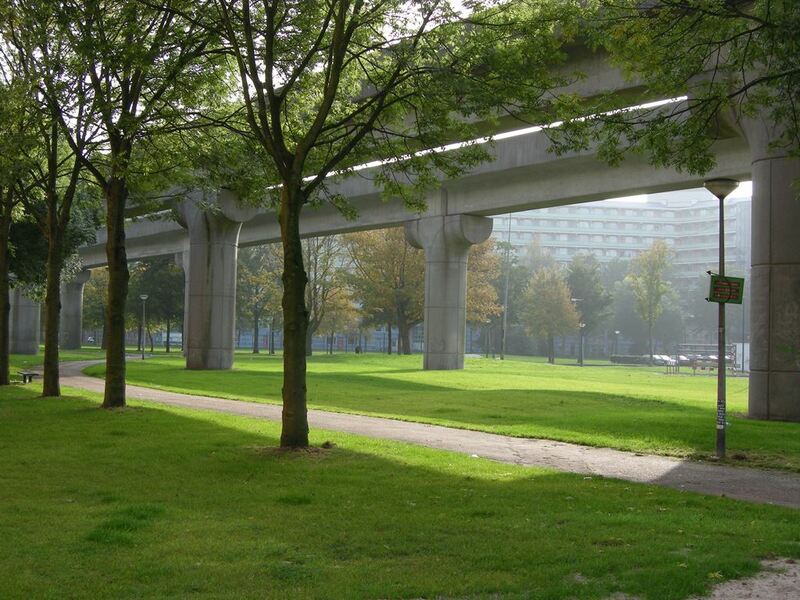 Long lines were created in a differentiated urban environment along the majestic new Bijlmerdreef and the long, green avenues, along which the renovated flats could be given a good position. 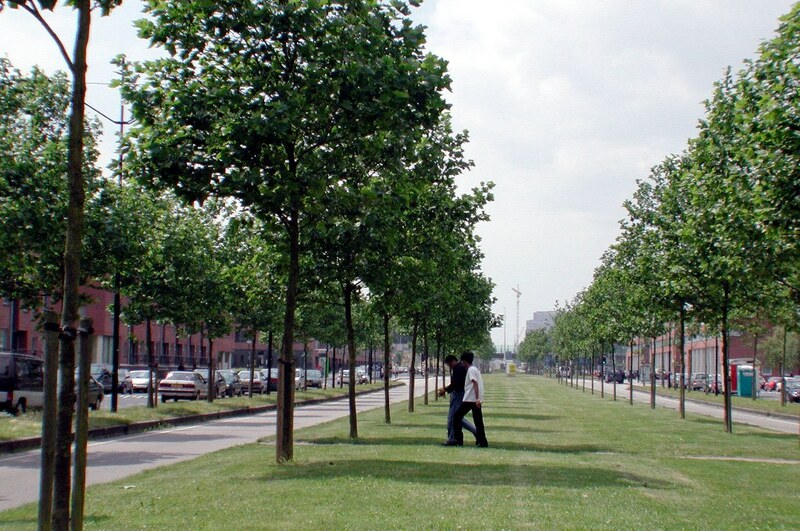 Each green avenue contains its own theme and appearance, for instance the flower avenue, the nature avenue and the sports- and play avenue.